Had a test drive of a 997.2 C4S manual today, first manual I have driven all other have been PDK. TBH I quite liked it, but don't know if a manual 997.2 would be less appealing for resale later on than a PDK one ? Don't worry about resale. Buy the car that you prefer. In answer to your question, I think PDK is more desirable but a manual gen2 is rare. Until a couple of years ago, the manuals were slow to sell and PDK cars were easy to sell. Then some people started calling them sought after and charging more for them. They remain far less common and I expect there are sufficient buyers that want them. and I think the 997 will continue to grow in popularity as the last of the true driver involved 911 sports cars. as the 991 has been developed to be more of a touring car IMO. It seems at the moment looking on Autotrader and Pistonheads there are more manuals than PDK for sale. Having driven this manual today it will widen my choice so think I need to drive a few more to be totally sure, also the one today was a bit low in spec. Can you get Sports Steering wheel without paddles ? You do need to test drive both to see what you like. I tried PDK and manual. 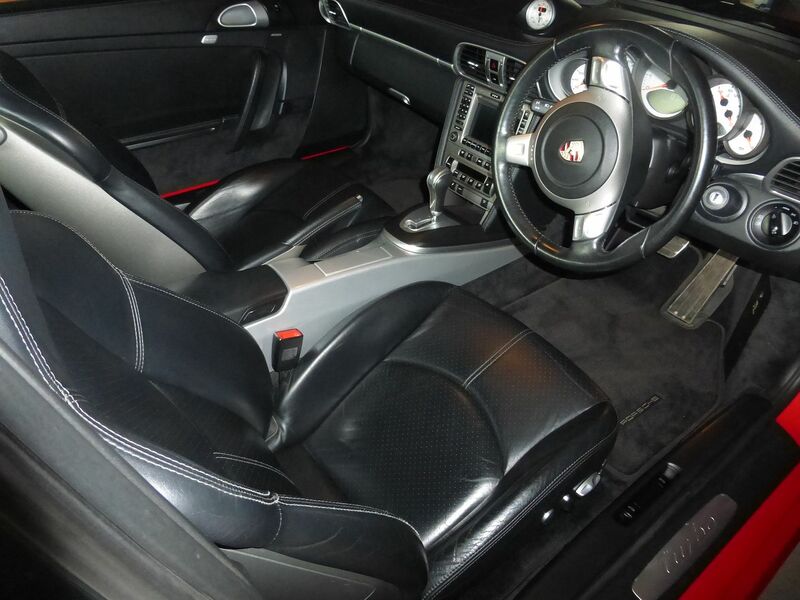 The PDK in Sport Plus mode was phenomenal, instant changes, and held the revs. In normal mode you could pootle around town very easily. I was cautious of the manual as I had heard the clutch was a little heavy, and to be honest it is a bit, but not too heavy to be painful in long traffic jams. Because the engine in the S only really comes properly alive above 4k you do need to be in the right gear, PDK would kick down quickly when the gap opens, manual you need to drop a few cogs ready for it. However, having also got a Mk4 MX-5, I am used to a very quick precise gearbox that is a joy to use. I found I got used to the manual very quickly on the test drive, so I bought it straight off, a nice gen 2 C2S, and I don’t regret it. 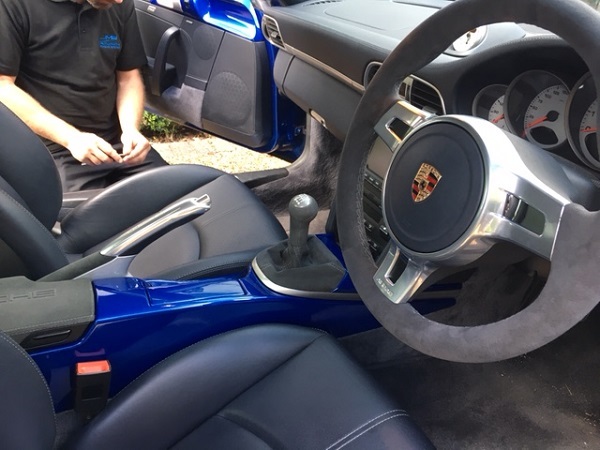 There is something so satisfying about a good snap change that you just don’t get from the PDK, even if you use the paddles, you just feel more in charge, holding the revs at exactly the level you want, not some software. I haven’t had mine long, so you will note I said in charge, not in control! Barrelling up a twisty B road in my MX I can use all the rev range for more of the time, in the 911 on the same road, you have to use less, but every gear change is an event, to be savoured, and repeated at every opportunity. I have also had the misfortune of traffic jams on the M1 and M6, and it is t a problem, so I really don’t regret getting the manual, it really is awesome! heres a pic of my manual 997/991 alcantara sports wheel. I noticed ggst car pop up....looks nice. Is it a fairly low spec then? The Harbour Cars is meant to be light on spec. It’s a manual with the sports chassis and that was the effect the buyer was going for I expect. It’s not an early car and has PSE, which is good. 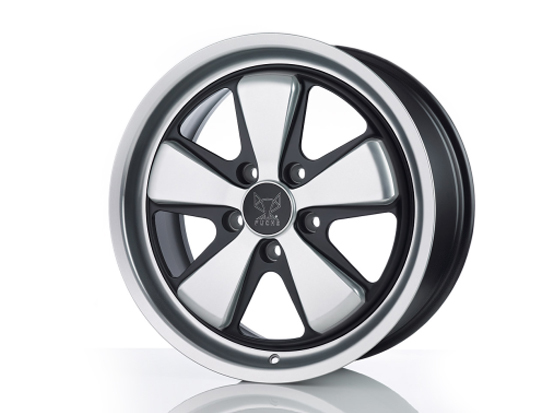 I think there are better alloys out there and I don’t like the steering wheel. I've never found myself thinking.....oooh I wish I had a pdk. 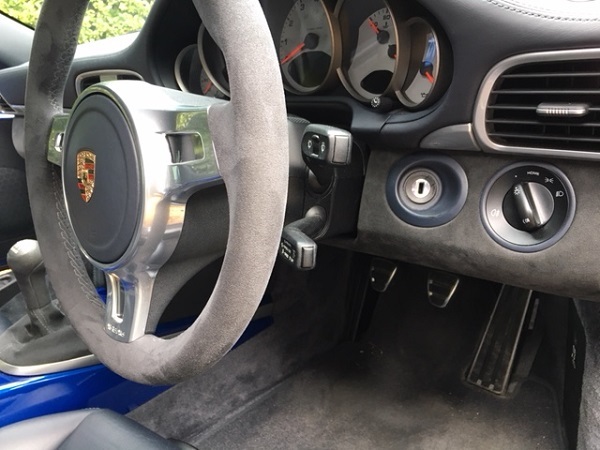 Having said that the pdk is superior in every way, excluding the time when youre on your favourite bit of tarmac, you hit the brakes, heel and toe down a couple of gears. Turn in and and apply the power to perfection. Its then when you realise the manual is the only choice. Gen1 thick rimmed sports steering wheel with Tip' buttons. I assume it was available for manual cars as well. just out of interest what is the car missing to be considered low spec?. Just curious as my C2S is a similar spec (without sports chrono). It's interesting reading this post as when buying mine i got the impression it was the manuals that were more sought after, and when looking for mine i had many more options available to me if i wanted a PDK. Personally think that car at Harbour cars is a great spec! For me, Sports Suspension, PSE and Sports Crono are some of the most important options. It's a bit pricey though considering no Porsche warranty? The lack of a sunroof would also be considered by some as low spec'. I suspect that the first owner of this car was looking to save weight. Rare to see a sunroof on a Gen 2 997. I’d expect to see many more if it was standard spec and you had to delete it.